Go to a traffic ticket? There are multiple ways to go about taking care of a ticket, and some work better than others. Below are some tips to make the best of your ticket situation. 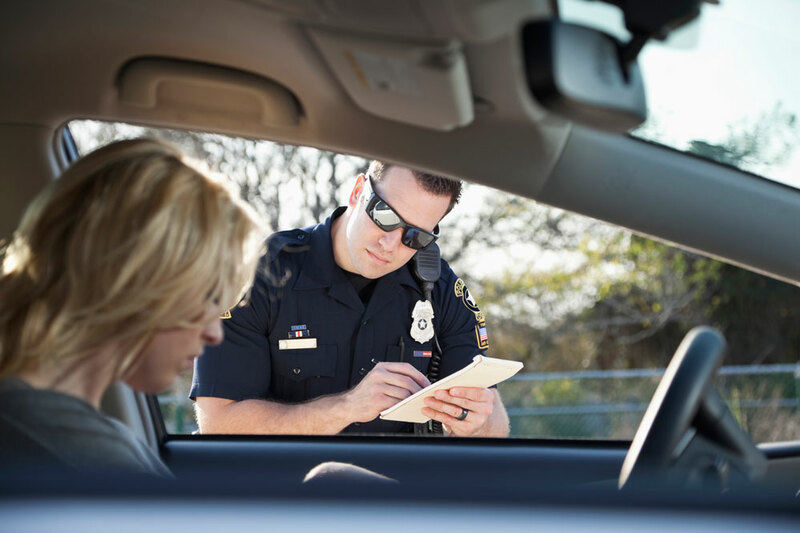 Try these strategies to minimize the ancillary costs of speeding tickets and driving infractions. When you're pulled over for speeding or other infractions, the financial toll can run much higher than the actual cost of the ticket. For starters, points on your driving record can lead to higher insurance premiums for the next several years. States have different point systems, and some states will add points to your driving record for an out-of-state violation. The impact on premiums will also vary depending on your insurer, driving record and other factors. Drivers with traffic tickets and moving violations are statistically more likely to get into accidents, so insurers typically charge them higher premiums, according to Loretta Worters, spokeswoman for the Insurance Information Institute, an industry organization that provides insurance information to the public. "Every company has a different policy when it comes to traffic tickets," she adds. "For example, one company may raise your rates for three years, and another may apply a surcharge, which can be removed after one year if you have no more speeding tickets or other traffic infractions on your driving record." If you have an otherwise clean driving record, your insurer may not penalize you unless you're cited for reckless driving or offenses involving drugs or alcohol. "If they are non-moving violations like a taillight out or a parking infraction, rates are far less than if you have a speeding ticket or are driving under the influence," Worters says. "Also, how fast were you driving when you got the ticket? The more miles over the speed limit, the higher the rates." Those with lots of moving violations may face much higher car insurance rates may become uninsurable, Worters adds. In addition to the cost of each ticket and the increased insurance premiums, some states also charge driver responsibility assessment fees to drivers who accumulate a large number of points on their driving record within a certain period. In New York, for instance, the assessment is $100 per year for three years if you receive 6 points within 18 months (plus $25 for each additional point beyond the original 6). Points can add up quickly: Texting while driving is 5 points while traveling 1 to 10 miles per hour over the speed limit is 3 points in New York. In some cases, though, the consequences can be even more serious. Attorney Christina Pendleton runs a traffic law practice in Richmond, Virginia. In her state, reckless driving is a criminal charge, so drivers traveling over the speed limit can be charged with a misdemeanor with a maximum punishment of 12 months in jail and a $2,500 fine. Many of these infractions stay on your Virginia driving record for 11 years. "A conviction also appears on the person's criminal record which follows them for life," Pendleton explains. "We represent many clients, many of whom are out of state, who hold a security clearance, a state license or who just do not want to have a conviction on their criminal record." Cooperate with law enforcement. Drivers who are polite and cooperative with an officer are much more likely to get a ticket reduced or dropped than those who are rude or belligerent, Pendleton says. If you go to traffic court, be polite and cooperative in that setting, too. Challenge the ticket. Especially if it's the first infraction, it might be worth challenging the ticket or asking that the fine is reduced. In some cases, you can get a ticket dropped on a technicality, says Casey Reiter, a criminal defense attorney in West Palm Beach, Florida. "Sometimes officers will make mistakes in writing the traffic ticket like they put the wrong license plate number or cited the wrong statute," Reiter says. "If you were speeding, then you can always ask the judge for a reduced fine or ask that they drop the points." Consider hiring a traffic lawyer. Pendleton says it's possible to get a ticket dropped on your own, but traffic lawyers know what strategies work best. "'I was going with the flow of traffic' is not a legal defense to a speeding ticket," she explains. "Technical legal defenses exist, and they normally involve whether the equipment the police officer used was operating properly. "The other benefit of hiring a traffic lawyer, especially if the ticket was issued outside of your home state, is that you might not even have to take time off to appear in court. "Many people find that the convenience of having a lawyer go to traffic court on their behalf is well worth the 80 or so dollars," Reiter says. Opt for traffic school. Some states allow you to sign up for traffic school to avoid points on your driving record for noncriminal moving violations. Although you'll cover the cost of a driver improvement course, it might be cheaper than paying higher insurance premiums (the time and cost will vary based on your state and your traffic infraction). However, there are limits to this. For instance, in Florida, you can only use traffic school to avoid points once per 12 months and five times in a lifetime.